Gold-plated jewelry looks very nice when it is clean and not scratched. You have to handle it gently and know how to clean it so that it does not lose its shine. Here are the home tips that will help restore her beauty. 1. 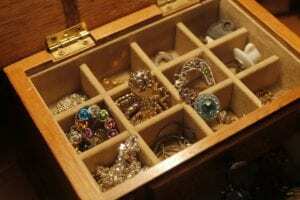 Store the gold-plated jewelry in a box, before wrapping each item into a thin tissue or a piece of pure silk, so as not to expose it to abrasion. 2. Wrinkled gold bracelets, chains and other gold-plated items into a small, narrow jar and pour the following mixture over the hot mix: dissolve soap flakes with soda or a few drops of ammonia. Close the jar and shake it vigorously for a few moments (about 1-2 minutes). After this time, remove the gold-plated items and rinse thoroughly under running warm water. 3. 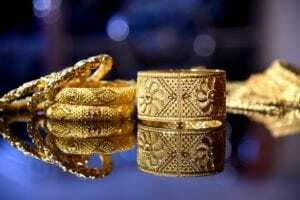 If you want to restore the glow of tattered jewelry covered with gold, immerse it in denatured alcohol for a while, then polish it with a soft chamois. 4. Clean heavily soiled bracelets, rings or brooches with a cloth dampened with a solution of table salt and sprinkled with lemon juice. Polish to dry. 5. When wearing gold-plated jewelry, be careful not to spray it with perfumes. They can cause discoloration of the golden layer, which looks ugly.